House renovation can be an inspiring and satisfying experience, especially if the desired results are achieved. However, you may find it stressful and demanding if you ignore a few essential considerations. So, while planning a home renovation, there are some important factors you must take into account. Consider the following details. 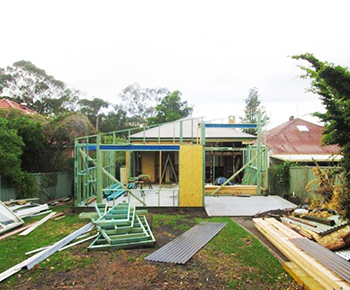 In general, small alterations on a residential property do not need any special permission. However, bigger projects involving modification of the structure, plumbing or electrical system may require permits. It’s important that you are aware of the existing building regulations in your area. Commencement of a renovation without the necessary permits can cause lengthy, costly delays and may result in fines. While looking for a good contractor for your home renovation services, be sure to collect multiple quotes and obtain references. There are firms that will promise big things, only to charge excessively for low quality work in the end. Scrutinising the portfolio, license and qualifications of the company you are considering for hire will help you to avoid such disasters. Relocation may seem to be an overwhelming task, but living through a home renovation process can be more difficult. If you do not want to breathe in the dirt and dust resulting from the remodeling work, consider staying with family or booking a hotel room until the job is complete. There is often a rush during renovation projects to get them finished and sometimes, people do not pay enough attention to the small details. It’s important to explain your project to the contractor in as much detail as possible so that you do not have to deal with confusion or disappointment later on. Every residential property is unique in its own way and you must always try to preserve that unique character while planning a remodeling job. Do not opt for something merely because you think it would look ‘cool’. Aesthetic appeal is obviously an important factor, but it must balance with the functionality of the addition or alteration you want. Never take the fundamentals lightly. Consider them meticulously if you wish the results to match your expectations.